"We are a team of investment professionals who are committed to helping our clients identify and reach their investment goals." We take the time to listen and learn about the needs and goals of our clients — whether it’s working directly with individuals to help pursue personal wealth management goals, or working with organizations to develop an investment strategy, we’re here to help. With over three decades of experience, The Ryan Group, based in New York City, is one of a select number of advisor teams that comprise Bank of America Merrill Lynch Global Institutional Consulting. We have a long history advising a broad range of institutions including not for profit organizations, hospital and healthcare systems, faith based organizations, private foundations, cultural institutions and associations. We also provide consulting and investment services to select families whose exceptional wealth demands institutional-quality investment and wealth management. We are dedicated to helping clients identify and pursue their financial goals. Each client can feel confident that the investment strategy we recommend will be aligned with their goals and designed to help achieve the right balance of risk and return, growth and spending objectives. We put the strength and intellectual capital of Bank of America Merrill Lynch to work in the clients' best interests, by delivering customized, objective advice and robust investment strategies. We believe the best strategies are the simplest and should be communicated clearly. Global Institutional Consulting (“GIC”) is part of the Global Wealth and Retirement Solutions business of BofA Corp. Institutional Investments & Philanthropic Solutions (Philanthropic Solutions) is part of U.S. Trust, Bank of America Corporation (“U.S. Trust”). U.S. Trust operates through Bank of America, N.A., member FDIC, and other subsidiaries of BofA Corp. For both GIC and Philanthropic Solutions, banking and fiduciary activities are performed by wholly owned banking affiliates of BofA Corp, including Bank of America, N.A. 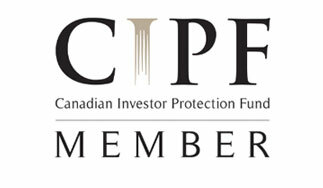 Both brokerage and investment advisory services are provided by Merrill Lynch, Pierce, Fenner & Smith Incorporated (“MLPF&S”), a registered broker-dealer, Member Securities Investor Protection Corporation (SIPC), and registered investment adviser; the nature and degree of advice and assistance provided, the fees charged, and clients’ rights and MLPF&S’s obligations will differ depending upon the products and services actually provided. Global Institutional Consultants mentioned herein are registered representatives with MLPF&S and may assist you with investment products and services. 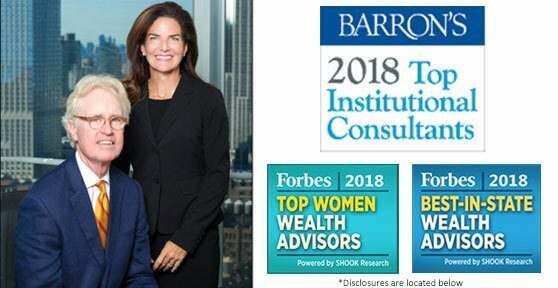 Source: Forbes “America’s Top Women Wealth Advisors” ranking was developed by SHOOK Research and is based on in-person and telephone due diligence meetings and a ranking algorithm that includes: client retention, industry experience, review of compliance records, firm nominations; and quantitative criteria, including: assets under management and revenue generated for their firms. Investment performance is not a criterion because client objectives and risk tolerances vary, and advisors rarely have audited performance reports. 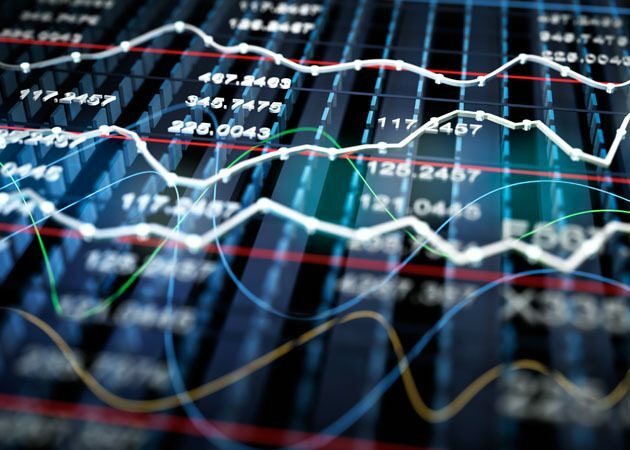 Rankings are based on the opinions of SHOOK Research, LLC and not representative nor indicative of any one client’s experience, future performance, or investment outcome. Neither Forbes nor SHOOK Research receives compensation in exchange for placement on the ranking. Rankings and recognition from Forbes are no guarantee of future investment success and do not ensure that a current or prospective client will experience a higher level of performance results and such rankings should not be construed as an endorsement of the advisor. Forbes is a trademark of Forbes Media LLC. All rights reserved. Source: Barron’s "Top 50 Institutional Consultants” list, April 23, 2018. The advisors in the ranking were evaluated on a range of criteria, including institutional investment assets overseen by the advisor and his/her team, the revenue generated by those assets, the number of clients served, and the number of team members and their regulatory records. Also considered were the advanced professional designations and accomplishment represented on the team. Barron’s does not receive compensation from Advisors, participating firms and their affiliates, or the media in exchange for rankings. Rankings and recognition from Barron’s are no guarantee of future investment success and do not ensure that a current or prospective client will experience a higher level of performance results and such rankings should not be construed as an endorsement of the advisor. Leveraging our team’s collective experience and diverse backgrounds, we take a holistic approach when advising clients. We recognize that organizations depend on the performance of their investment portfolios to fulfill their mission and goals. However, our work goes beyond investment rate of return. Assess - Our broad perspective equips us to work with investment committees, boards and trustees to help them more clearly articulate their long-term strategies and understand how certain objectives affect their balance sheet. 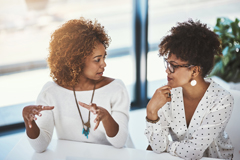 Articulate - Listening is crucial, and so is proposing solutions in a clear and concise language. Seldom is the first draft of an asset allocation the most fitting; it takes an honest dialogue between advisor and client to determine which set of solutions has the best fit with the client's time horizon, risk tolerance, liquidity needs, and investment goals. Define - We believe a portfolio can only serve an organization if the advisors know the goals, mission and aspirations of that organization. This requires extensive probing and listening to discern what the time horizon of both the portfolio and risk profile should be. The time committed to planning the structure of the portfolio is intended to pay dividends for years. We understand that fiduciaries have a significant responsibility with respect to the assets under their care, yet resources are stretched more thinly than ever. 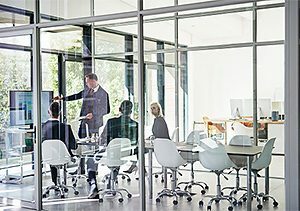 Many organizations do not have the time, resources or expertise required to develop, implement and monitor a disciplined, long-range investment strategy. Implement - Our team delivers the full global resources of one of the world's most preeminent financial institutions, offering a high level of tailored solutions from a local presence, and serving as an outsourced solution for many clients to leverage. Review - In a fast-paced world with an ever-changing landscape, we recognize that the consistent reviewing and monitoring of a client's portfolio is important. As part of our process, we provide a holistic review of your portfolio and help ensure relevancy to your goals. The thought leadership we bring to you is integral to the advice we provide and a key factor in the institutionally focused reporting we give to each client. 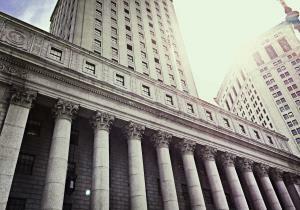 "Institutional consulting requires a customized and focused strategy for every client. Our skills, experience and broad perspective equip us to work with diverse investment committees, executives, boards and trustees." 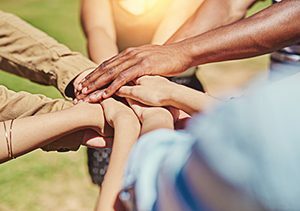 We help nonprofit organizations, private foundations and cultural institutions create customized and forward-thinking investment programs designed to support their mission, investment policy, spending policy and liquidity needs. We have been working with health care institutions since 1991. We recognize the importance of building and managing different portfolios for specific purposes within the operation of a hospital. 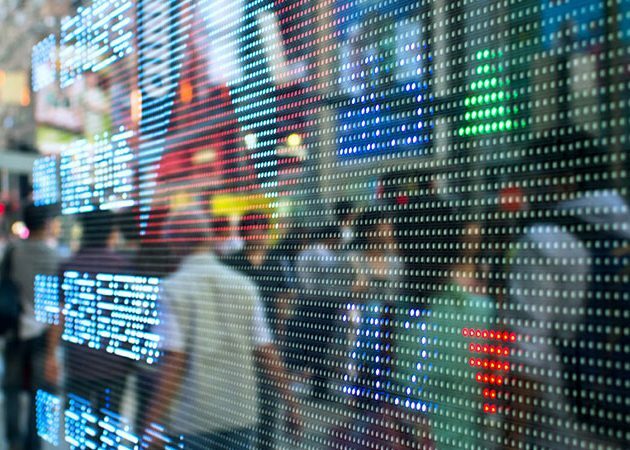 We believe that liability-driven investing, compared to traditional investing, may be a valuable way for pension plans to stabilize funding through market cycles. We strive to help pension plans pursue more stability in funded status, required contributions and balance sheet impact. 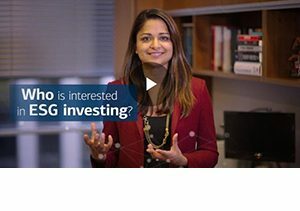 We offer experience in helping values-based investors identify and examine areas of interest they might wish to address, including investments based on religious values, human rights, environmental quality and health care so we can build a solid portfolio of investments to support those beliefs. We focus on providing wealthy families and future generations of these clients innovative strategies demanded by the complexities of their substantial wealth. We help integrate investment strategies that reflect the family's misson, fully align each family's financial goals with personal values and help implement long-term legacy considerations. Jim joined Merrill Lynch in 1981 after three years as a Presidential Management Intern. As the senior partner for The Ryan Group, he focuses on strategy and business development. 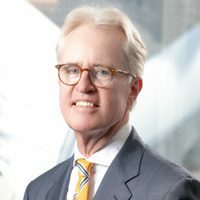 Jim is also part of a Global Institutional Consulting team, a designation bestowed upon Merrill Lynch teams whose members complete specialized training requirements focused on helping institutional clients meet the investment needs that their unique, and often complex situations, require. He holds a bachelor's degree from the University of Notre Dame and a MBA from Cornell University, which he attended on a Charles E. Merrill Fellowship. He has been recognized by Barron's as one of the Top 1000 and Top 1200 Advisors in the country every year since inception in 2009 through 2016. 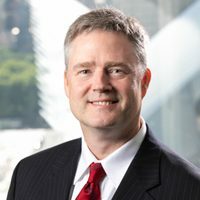 Jim frequently speaks at Merrill Lynch and Barron’s conferences on the topic of Socially Responsible Investing and has been quoted in the Wall Street Journal, Institutional Investor, Baylor University Business News and in various Merrill Lynch research papers on the topic. Jim’s work on Faith Consistent Investing was also featured in Barron’s magazine. 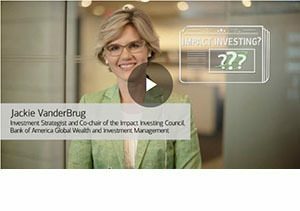 He was a panelist at the Catholic Finance Association Conference, Christian Investment Forum Kingdom Advisors Conference, University of Notre Dame Catholic Endowment Conference, the Pontifical Council for Justice and Peace symposium, “Impact Investing,” in Vatican City and a speaker at the NAPA Institute. In 2017, Jim launched the inaugural Faith Consistent Investing Forum at bank of America Merrill Lynch. Jim and his wife, Libby, live in Brooklyn with their sons, Michael and Joseph. He is a member of the Board of Trustees for Nazareth Housing in Manhattan and CHIPS Soup Kitchen in Brooklyn. Jim is a member of the Friendly Sons of St. Patrick. Courtney joined Merrill Lynch in 1992. She is among a select group of advisors designated as Global Institutional Consultant by Bank of America Merrill Lynch. 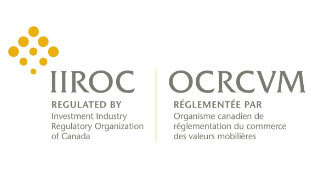 Holders of this designation undergo a rigorous selection process that includes a review of their institutional client experience, a comprehensive, multidimensional professional assessment. Courtney earned a bachelor's degree in political science from the College of the Holy Cross in Worcester, Massachusetts, which she attended on a full athletic scholarship. She holds the Certified Investment Management Analyst® (CIMA®) designation, awarded by the Investments & Wealth Institute™ (The Institute) and also holds the CERTIFIED FINANCIAL PLANNERTM certification, awarded by the Certified Financial Planner Board of Standards, Inc. Courtney is a member of the Financial Planning Association and the Investments & Wealth Institute™ (The Institute) . Barron's named Courtney to its Top 1,000 Financial Advisors State-by-State list in 2010, 2011, 2012, and 2013 as well as its Top 1,200 Financial Advisors State-by-State list from 2014 through 2016 and its Top 100 Women Financial Advisors list since inception in 2009 until 2016. The Financial Times included her in their Top 100 Women Financial Advisors list in 2014. In 2017, Courtney was named to the Working Mother's Top Wealth Adviser Moms list. Courtney has extensive experience in investing, asset allocation modeling, hedging and diversifying concentrated stock strategies and liability management. She is a critical thinker with a deep understanding of the institutional markets and the complex needs of institutions. 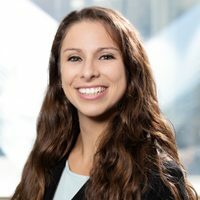 Courtney finds it most rewarding to be an integral part of clients' decision-making process and helping them pursue their goals and missions. She lives in Staten Island, New York, with her husband, Mike, and her daughters Michaela and Jordan. She is a member of the investment committee for Notre Dame Academy in Staten Island, and former Regatta Chairman at the Richmond County Yacht Club. Courtney was a Bloomberg mayoral appointee to the New York City Rent Guidelines Board. She also served as the national co-chair of the Merrill Lynch Women's Exchange. Her hobbies include sailing and snowboarding, and playing tennis and golf. *Source: Barron's "America's Top 1,200 Advisors: State-by-State" list, March 7, 2016. For information about the selection criteria, go to Barron's Top Financial Advisors page . Barron's is a trademark of Dow Jones & Company, Inc. All rights reserved. Years prior to 2014, this Barron's list consisted of 1,000 advisors. *Source: Barron’s "America's Top 100 Women Financial Advisors" list, June 6, 2016. For more information about the selection criteria, go to Barron’s Top Financial Advisors page . Barron’s is a trademark of Dow Jones & Company, Inc. All rights reserved. *Source: The Financial Times Top 100 Women Financial Advisers, November, 2014. For information about the selection criteria, go to http://details-he.re/t0P398 . All rights reserved. *Source: Working Mother/SHOOK Research's "Top Wealth Adviser Moms" list, September/October 2017. For more information about the selection criteria, go to http://details-he.re/4JoTZ9 . SHOOK Research is a trademark of SHOOK Research, LLC. All rights reserved. Ivette joined Merrill Lynch in 1998 and possesses over twenty years experience in the financial services industry driving strategic focus, business growth and operational efficiency. She is responsible for the team's business strategy, planning and management as well as marketing and communications for the team's institutional and high-net-worth practice. 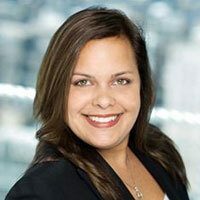 Prior to joining Merrill Lynch, Ivette was with Credit Suisse where she streamlined the administrative and operational processes within the equity research division. Ivette earned her bachelor’s degree in business management and finance from Brooklyn College, City University of New York. She is a Certified Six Sigma Greenbelt. Ivette, her husband, Danny, and their two sons, Daniel and Michael, live in Staten Island, New York. She is an active member of the Westerleigh Improvement Society and Community Christian Center. She enjoys reading, traveling and spending time with her family. Joining Merrill Lynch in 2004, Chris began his financial services career as a member of the premier client solutions desk. For the Ryan Group, he now provides oversight of each client's investment portfolio. He works closely with Merrill Lynch's chief investment office to see that clients' portfolios align to the investment strategies the team is delivering. Chris leverages his prior experience as a legacy systems programmer to provide quarterly custom performance reporting and clear analytics to clients. Chris graduated from Rider University in Lawrenceville, New Jersey, with a bachelor's degree in English. He holds the Certified Investment Management Analyst (CIMA®) designation, awarded by the Investments & Wealth Institute™ (The Institute) . He is an avid reader, hiker and food connoisseur. Chris lives in Titusville, New Jersey, with his wife, Lauren, and children—Conner, Evan, Meghan, Eleanor and Charlotte—and enjoys playing pick-up basketball games with his family. Carlos is the lead relationship management associate on the team, and he strives to provide customized service that exceeds clients' expectations. Diligent and personable, he works to minimize issues that might negatively impact clients' overall experiences. 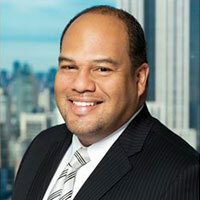 Leveraging his prior roles since joining Merrill Lynch in 1998—including Client Associate and Financial Analyst—Carlos focuses on offering clients the full resources of one of the world's leading financial institutions while delivering the intimate feeling of working within a small boutique group. Because of his professional service and support, which is intended to deliver an exemplary client experience. Carlos has a bachelor's degree in business administration with a concentration in marketing from Sacred Heart University in Fairfield, Connecticut. He and his wife, Veronika, live in Manhattan with their son, Carlos Ezequiel, and he is an active member of several independent baseball leagues. Devin began her Merrill Lynch career in 2016 in retirement plan client services. 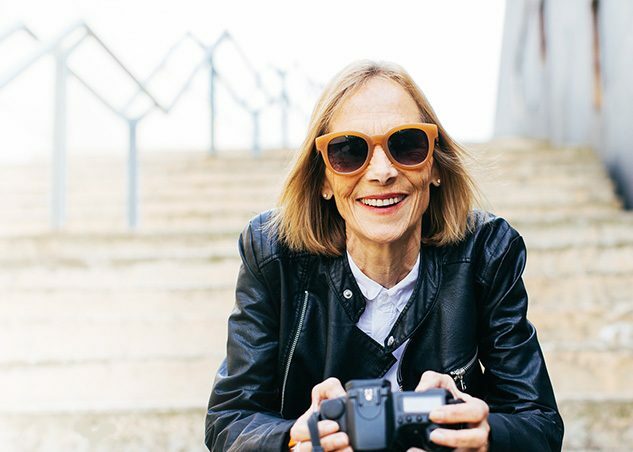 Since joining The Ryan Group, she has utilized her exceptional client services skills and retirement plan acumen to give each client a personalized experience. 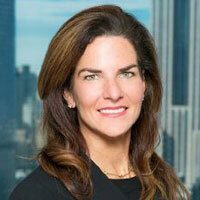 Prior to joining Merrill Lynch, she planned and executed large scale events for a New Jersey-based catering company which allowed her to perfect her client services skills to deliver an experience above and beyond expectations. Devin graduated from The Pennsylvania State University with degrees in mathematics, business, and recreation, parks, and tourism management. She is an avid hiker, music lover and food connoisseur. She currently lives in Manhattan with her best friend of 19 years. At Bank of America Merrill Lynch, we take the time to listen and learn about the needs and goals of your institution and the people it serves – it’s these real-world insights that guide our solutions and personalized service. Merrill Lynch Defined Contribution Investment Consulting (DCIC) is an investment advisory program sponsored by Merrill Lynch. Merrill Lynch offers a broad range of brokerage, investment advisory and other services. 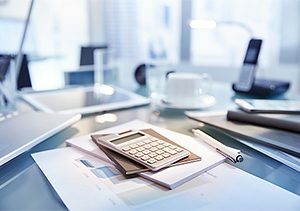 There are important differences between brokerage and investment advisory services, including the type of advice and assistance provided, the fees charged, and the rights and obligations of the parties. It is important to understand the differences, particularly when determining which service or services to select. All recommendations must be based on the suitability requirements of the client. Please refer to the Merrill Lynch DCIC Brochure for information on the program including a description of the services and related fees.Bank of America Merrill Lynch is a brand name used by several Bank of America Corporation (BofA Corp.) businesses, including, but not limited to, Global Institutional Consulting (GIC), which offers products and services for the benefit of institutional and ultra high net worth clients. GIC is part of the Global Wealth and Retirement Services business of BofA Corp. Institutional Investments & Philanthropic Solutions (II&PS ) is part of U.S. Trust, Bank of America Corporation (“U.S. Trust”). U.S. Trust operates through Bank of America, N.A., Member FDIC, and other subsidiaries of BofA Corp. For both GIC & IIPS, trust and fiduciary services and other banking products are provided by wholly owned banking affiliates of BofA Corp., including Bank of America, N.A. Both brokerage and investment advisory services may be provided by wholly owned brokerage affiliates of BofA Corp., including Merrill Lynch, Pierce, Fenner & Smith Incorporated (MLPF&S), a registered broker-dealer, Member Securities Investor Protection Corporation (SIPC), www.sipc.org, and registered investment adviser; the nature and degree of advice and assistance provided, the fees charged, and clients’ rights and MLPF&S’s obligations will differ depending upon the products and services actually provided. Global Institutional Consultants mentioned herein are registered representatives with MLPF&S.